This statistic presents data on the current members of Spotify in the United States as of March 2018. 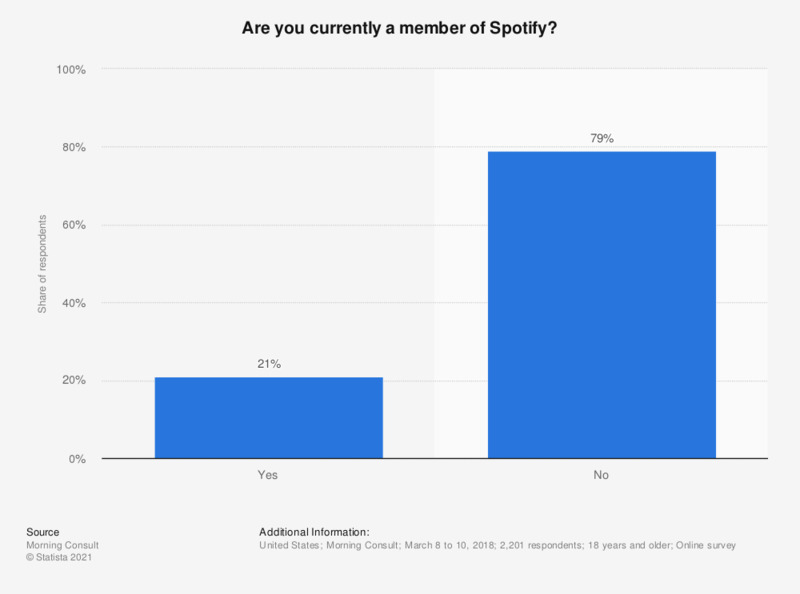 During a survey, 21 percent of respondents stated that they were currently Spotify members. This question was phrased by the source as follows: "Do you currently have a subscription to each of the following streaming services? Spotify"